There are times when we wish our original Penetrant Stabilizer wasn’t so darn strong. 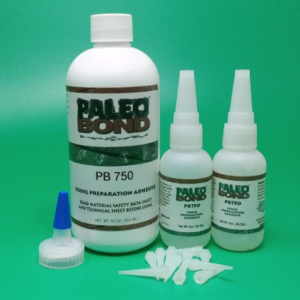 If you have gotten dirt on the bone and are applying PB002 to it, you’ve just bonded the dirt as well. 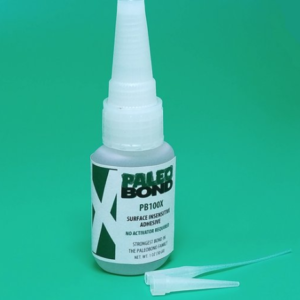 Also, if you have to realign a damaged area, then you have to fight with the very strong, tough adhesive bond if you used PB002. We have made a low strength and fragile penetrating stabilizer PB4417 that can be mechanically removed with an air scribe or micro sandblaster. 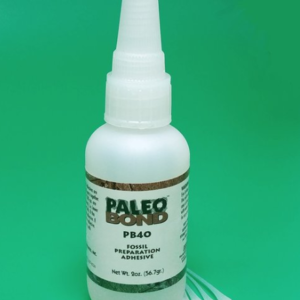 After a number of years of field trials, PB4417 has proven worthy to join the PaleoBOND family. We often have dirty, out of alignment fossil parts that need a light bond to preserve integrity from field to lab. 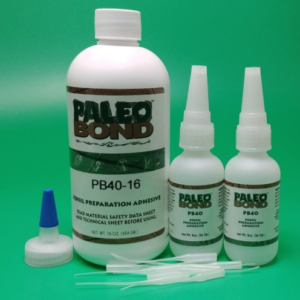 Just use it in the field in place of PB002 if you want to hold something together prior to the final laboratory preparation and remove it in the lab with an air scribe or air abrasion before you continue with aligning and repairing your specimen for permanent restoration. PB4417 is a REVERSIBLE adhesive. It can be mechanically removed using an air scribe or air abrasive blaster when back in the lab. The Kit includes: One 2 oz. 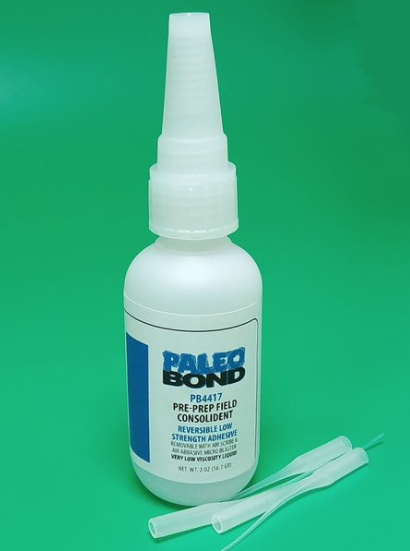 bottle of PrePrep Field Consolidant PB4417 and 4 microtips.